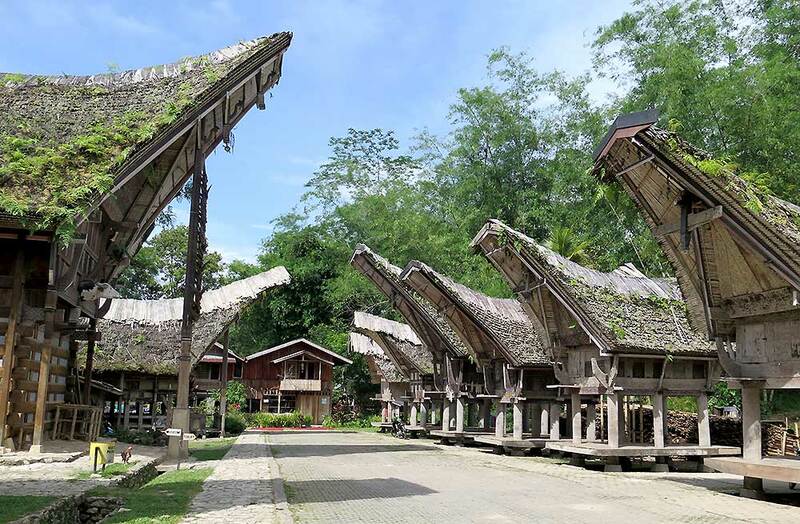 Although Tana Toraja is one of the friendliest and most welcoming parts of Indonesia, using a guide is essential if you want to get the best from your visit, and gain access to the funeral ceremonies that are the highlight of any Sulawesi adventure. Whether you’re an independent traveller or part of a group, Daud can help arrange your perfect trip. Using his local knowledge and extensive network of contacts, Daud can offer a packed itinerary that includes funeral ceremonies, popular tourist sights, hiking in the Torajan countryside, rafting, experiencing local cuisine, and discovering hidden treasures that most visitors miss. Below is a small selection of the delights Tana Toraja has to offer. Daud can arrange trips to all these places – and can also organise travel, using a mixture of private and public transport – and recommend other extraordinary sights not listed here. Just drop him a line using the Contact page and start planning your trip of a lifetime. Torajan funerals aren’t melancholy or morbid. Instead, they’re an opportunity for family and friends to honour loved ones who’ve passed away, and the perfect excuse for the community to come together and celebrate. Best of all, Torajan funerals welcome visitors, and tourists are encouraged to attend, spend time with locals, and witness the colourful rituals first-hand. 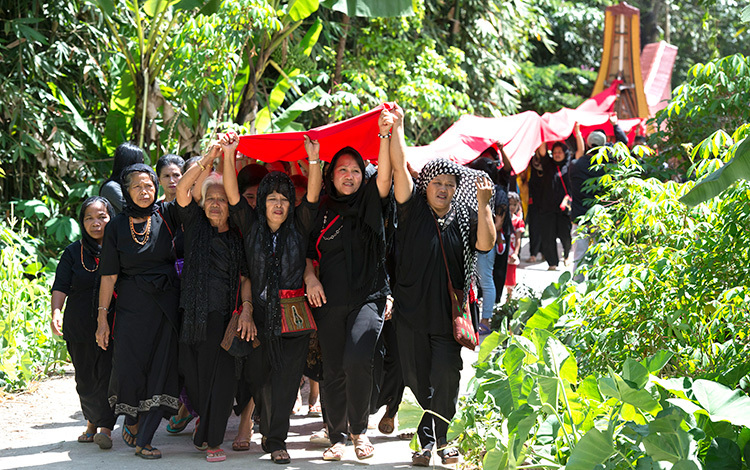 Depending on the status of the deceased, Torajan funerals can last anywhere up to a week. Although it’s hard to predict what you’ll to see on a particular day, the ceremonies feature a wide variety of fascinating rituals. 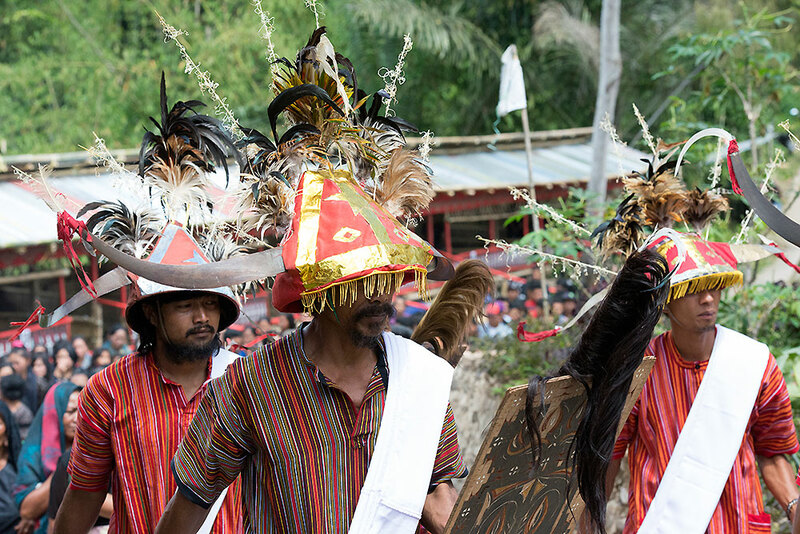 These rituals include parades of mourners led by dancers in traditional costume, circles of local men chanting hypnotically, the unveiling of a wooden, life-size statue of the deceased – known locally as a tau-tau – and a madcap scramble as the coffin is carried to its final resting place by family members who whoop, cheer, light flares and pelt each other with water balloons. It’s more of a fiesta than a funeral! While it’s difficult for visitors to find out where and when funerals are taking place, Daud has his finger on the pulse of the local community, and can recommend the best dates for your visit. In many cases, Daud can also offer visitors privileged access to the funerals, where you can relax with locals in shady family enclosures, and join mourners as they talk, eat, and listen to passionate speeches honouring the dead. Visitors are also welcome to wander around the funeral sites as they please – and so long as you show respect, there are no restrictions on taking photos or shooting videos. Attending a funeral ceremony is the high point of any visit to Tana Toraja, and is an enriching, jubilant experience you’ll never forget. 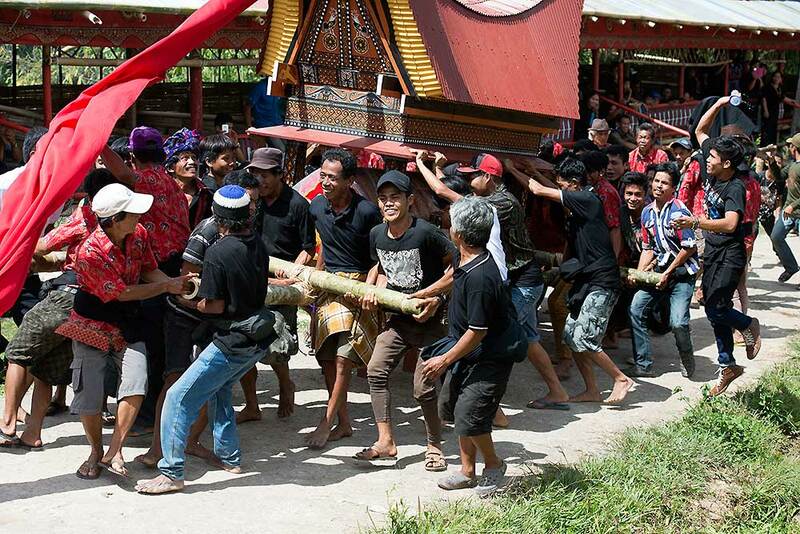 Torajan funerals take place throughout the year. At peak season the funerals can get busy if a lot of tourists join the festivities – but, in low season, there’s a good chance you’ll be the only foreigner on the site. However, please be aware that animal sacrifices – both water buffalo and pigs – are a key part of the funerals, and these gruesome rituals are likely to distress some visitors. If you’re concerned about this, please let Daud know in advance and he’ll make sure you don’t see any sacrifices or the gory aftermath. Ke’te Kesu’ is one of Tana Toraja’s most famous attractions, and is roughly split into two parts. The first section is a traditional village that’s thought to be over 400 years old, and consists of eight elaborate Tongkonan houses on one side of a narrow road, with a row of traditional rice barns on the other. Drawing on his vast knowledge of Torajan culture, Daud can explain the decor of each Tongkonan – right down to the paintwork and intricate carvings – and tell you more about the people who lived there, and the day-to-day challenges they faced. 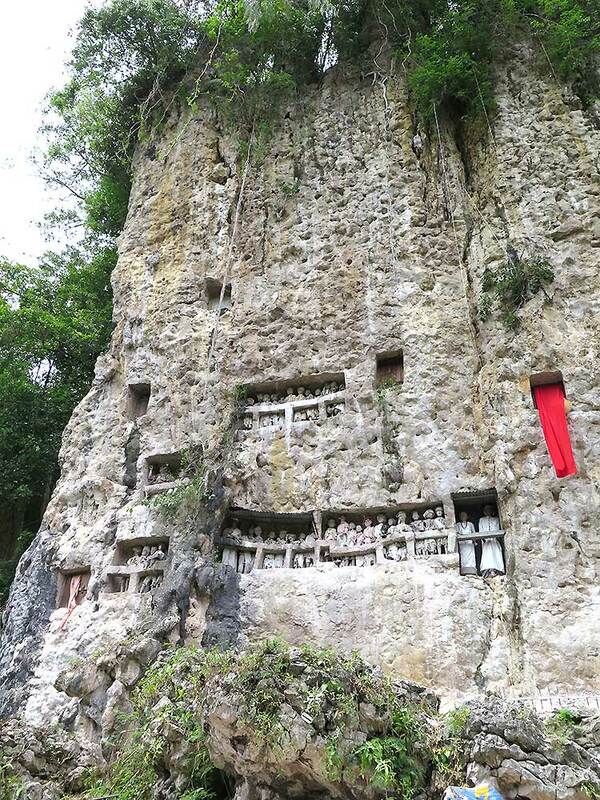 Beyond the village is Bukit Buntu Ke’su, a steep path and burial ground where you can see dozens of wooden coffins suspended on poles hammered into the cliffside, many of which have cracked open after being exposed to the elements for centuries. 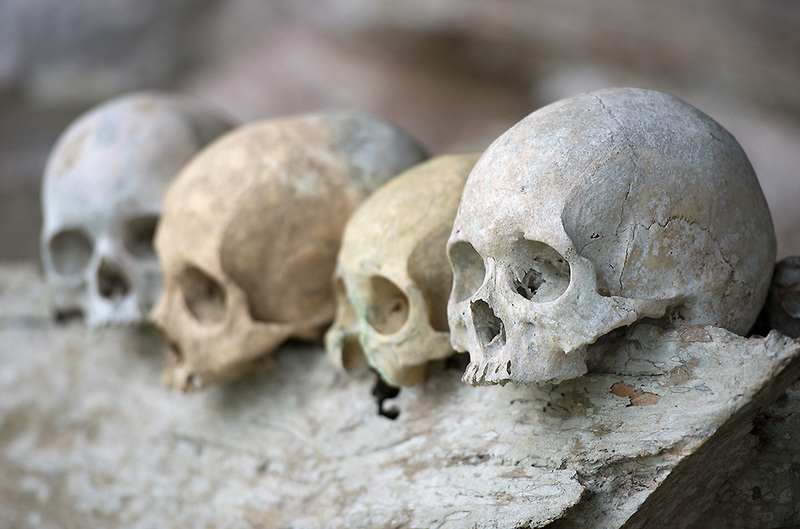 The site is calm and eerily beautiful, but some visitors are disturbed by the bewildering volume of human skulls and bones on display – this isn’t a trip for the squeamish. At the top of Bukit Buntu Ke’su you can also explore a pitch-black cave that penetrates deep into the mountainside, so be sure to bring a flashlight so you can marvel at the ancient stalactites and stalagmites. 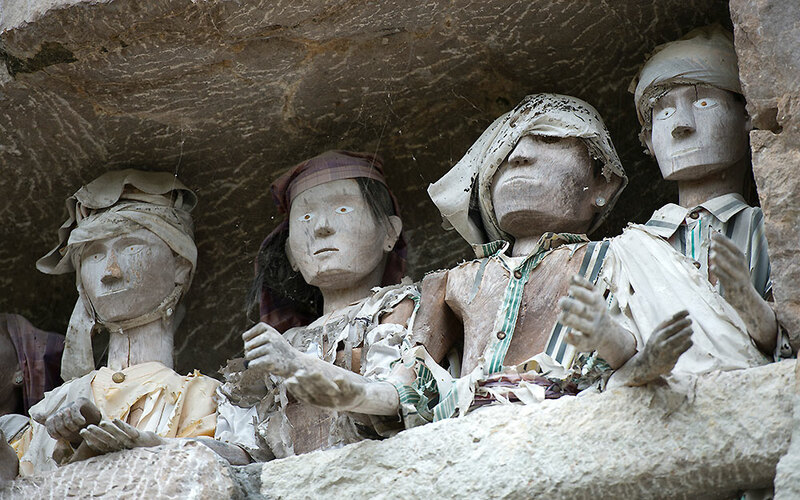 With rows of enigmatic tau tau, stunning rock formations and a spooky selection of human remains, it’s no surprise that Londa has become a firm favourite with visitors. Londa is a large underground cave, the upper section of which features ancient tau tau standing on wooden plinths or natural platforms in the rock, each fixing visitors with a wide-eyed, unfaltering gaze. 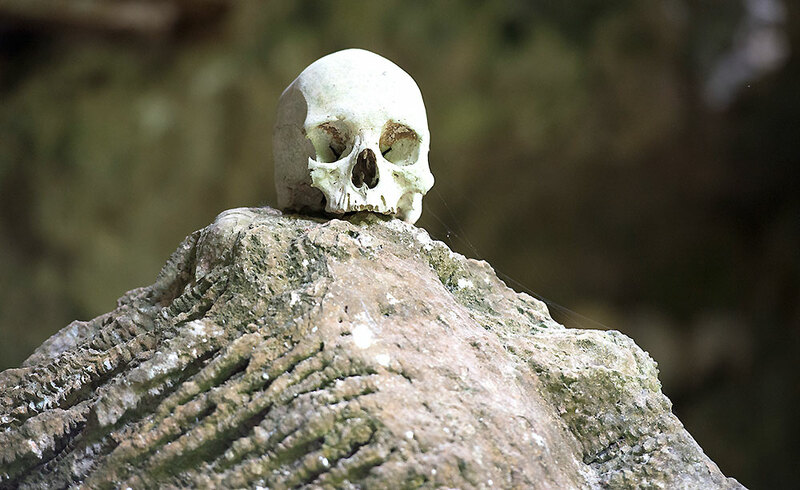 Beyond the tau tau is one of Toraja’s largest burial caves, where you’ll see open coffins, countless human bones and dozens of skulls, many of which have been arranged into artful displays or have been given a cigarette for good luck. Although those of a nervous disposition may find Londa morbid – or even horrifying – the cave has a mood of uncanny serenity, and it doesn’t feel strange or intrusive to spend time there. 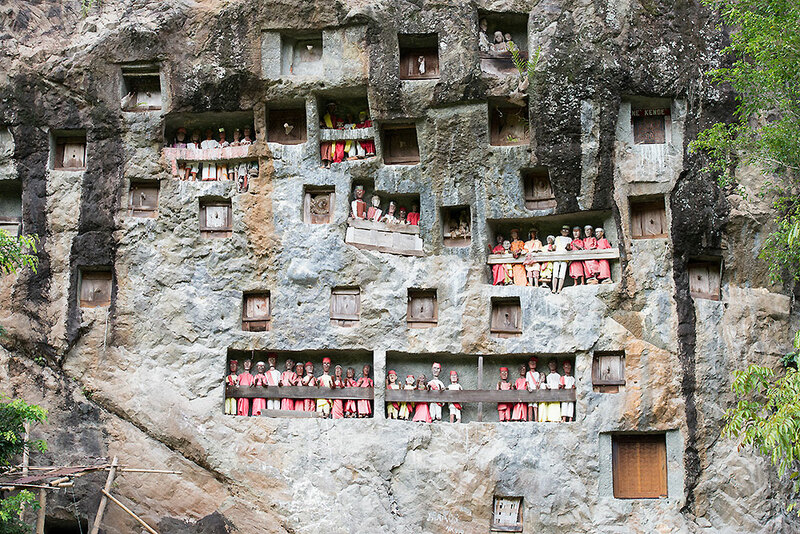 Tours of Lemo – the most photographed tourist site in Tana Toraja – begin at a sheer cliff face pocked by manmade caves. 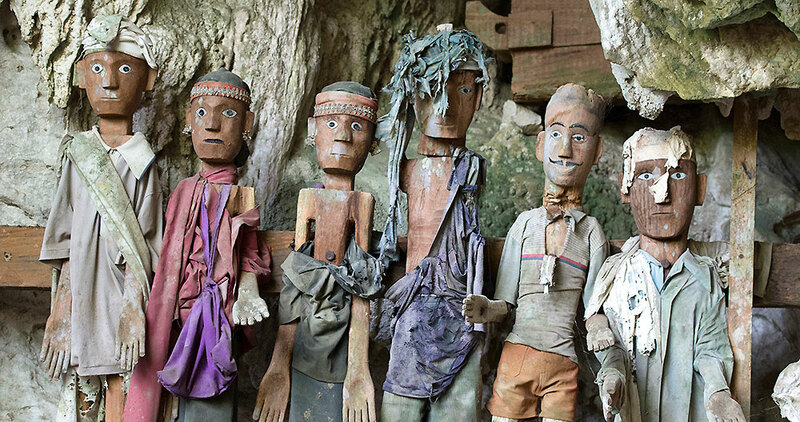 From these hollows stare wooden tau tau: carved wooden effigies that represent deceased members of the Torajan community. 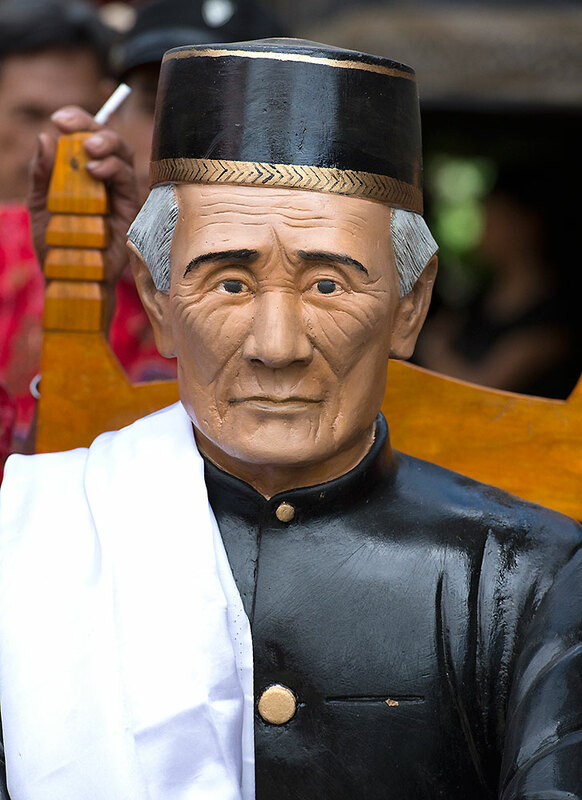 The life-size tau tau at Lemo are all dressed in colourful ceremonial robes, which are changed at significant points during the year – if you’d like to see the dressing ceremony, contact Daud and he’ll tell you when the ritual is scheduled to take place. As you climb the hill to the left of the main wall, you’ll find other cliff graves that aren’t so well maintained, many of which have broken open after years of being exposed to the sun, rain and wind. However, while these tombs aren’t as striking as those in the main area, it’s still fascinating to see perfect squares chiselled into the mountainside, and marvel at the skill and ingenuity of Toraja’s founding fathers. Rantepao’s main market is an intriguing place to spend Saturday afternoon, and is an opportunity to experience the sights, sounds and smells of real Toraja. If you’re looking for a souvenir of your time in Sulawesi, you can buy just about anything in this sprawling centre of commerce – but be prepared to bargain! 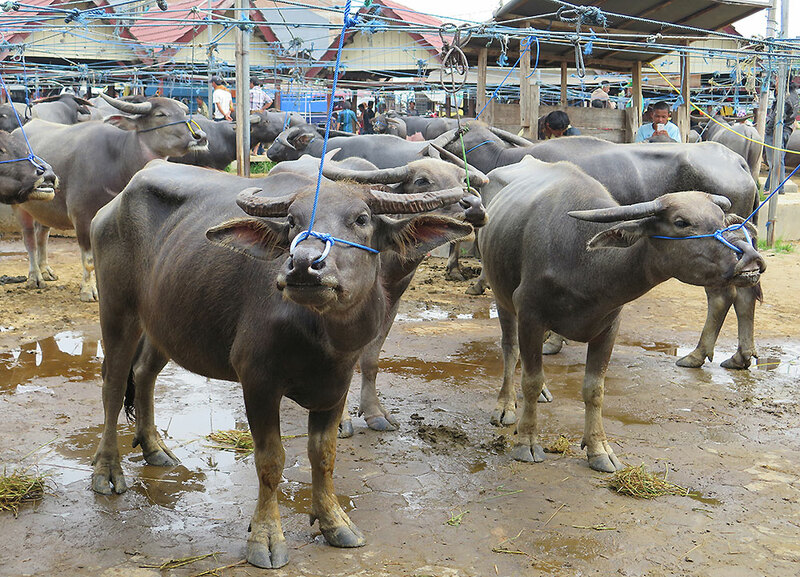 The most memorable part of the market is the livestock section, where pigs, water buffalo and other animals are sold and traded. It’s worth noting that, by Western standards, the livestock are not treated well, and those concerned with animal welfare may find this a difficult place to visit. However, if you let Daud know what you want to see – and what you’d rather avoid – he’ll be happy to accommodate your requests. 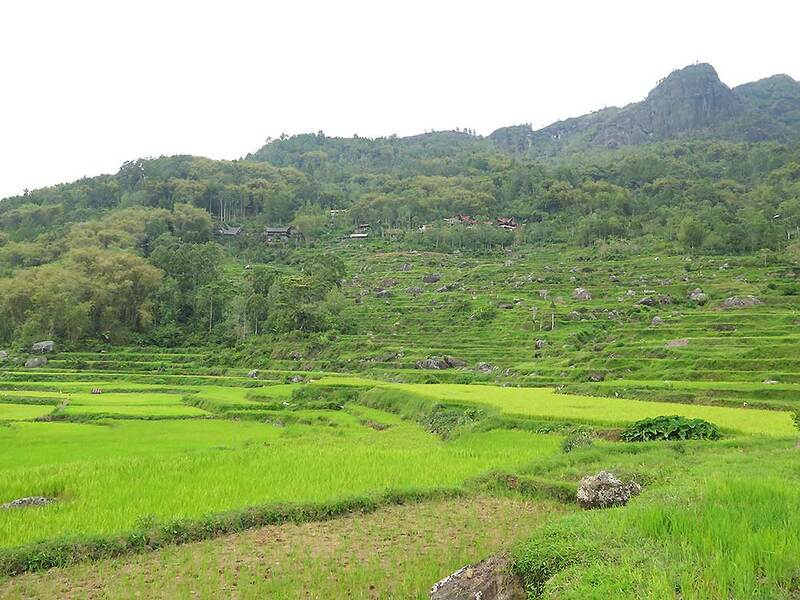 When planning your trip to Tana Toraja, be sure to make time for a hike in the countryside. Daud offers a variety of walking tours for different ages and abilities, and can arrange challenging hikes through steep rice terraces and high into the mountains, or more gentle strolls through Toraja’s verdant valleys. If you want to go a step further and experience what life is like outside the bustling city of Rantepao, Daud can also arrange comfortable homestays in nearby villages. When walking through the countryside you’ll be struck by the immense beauty of Toraja, which combines tropical lushness with alpine freshness. 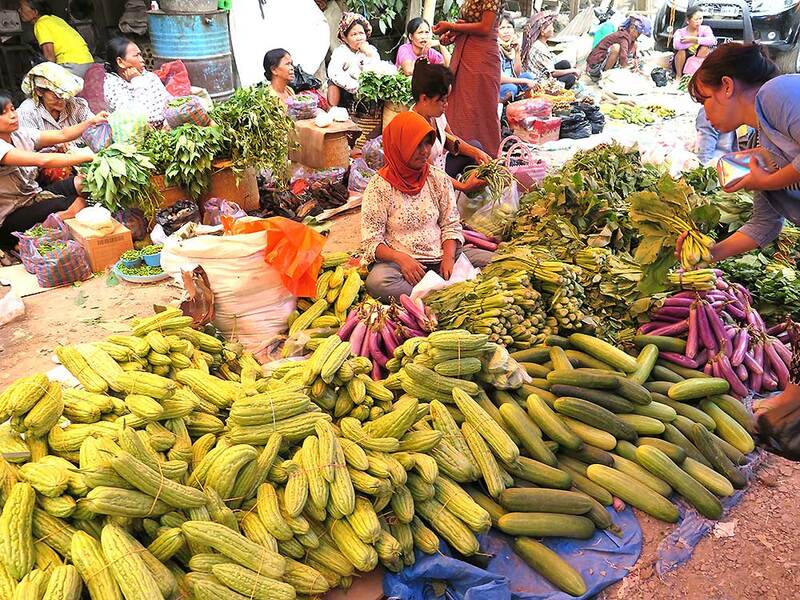 You’ll also see many striking sights such as traditional Tongkonan houses, rice barns, farming homesteads, community churches, burial grounds… and if you’re lucky, you’ll even see pink albino water buffalo, which are highly prized and demand astronomical prices at Rantepao’s Saturday market. While Lemo can be incredibly busy during high season, the less-visited royal funeral site of Suaya is often much quieter, and is a great place to see traditional wooden tau tau. Like Lemo, the burial site at Suaya takes the form of a steep cliff, into which angular caves have been painstakingly chiselled. From these caverns glare wooden tau tau, many of which represent members of Torajan royalty, who are forever honoured at this renowned site. If you’re feeling adventurous, to the right of the main wall is a steep pathway that leads to the top of the cliff, and offers striking views across neighbouring fields and rice terraces. This area is also a popular hang-out for local kids, all of whom will give you a warm Torajan welcome – especially if you offer them a cigarette! 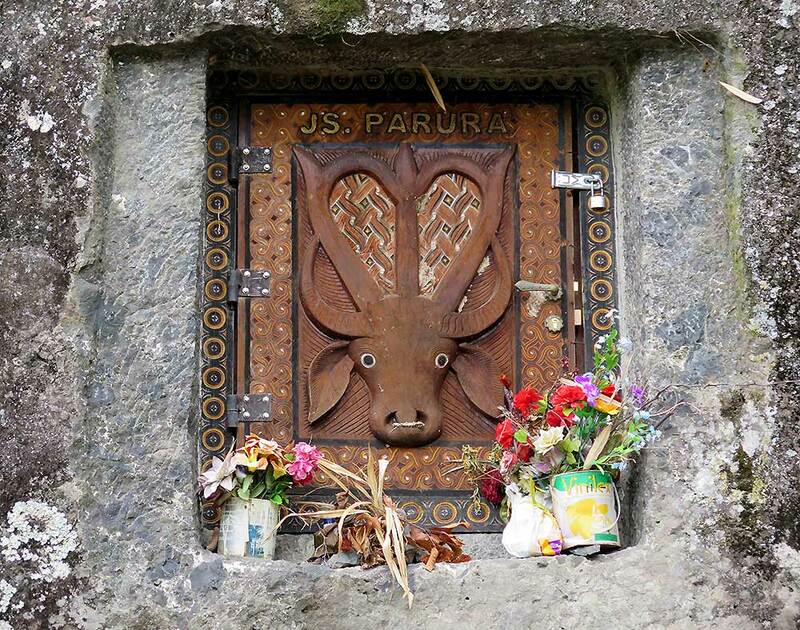 Kembira is the best-preserved infant grave site in Toraja, and is a fascinating and humbling place to visit. 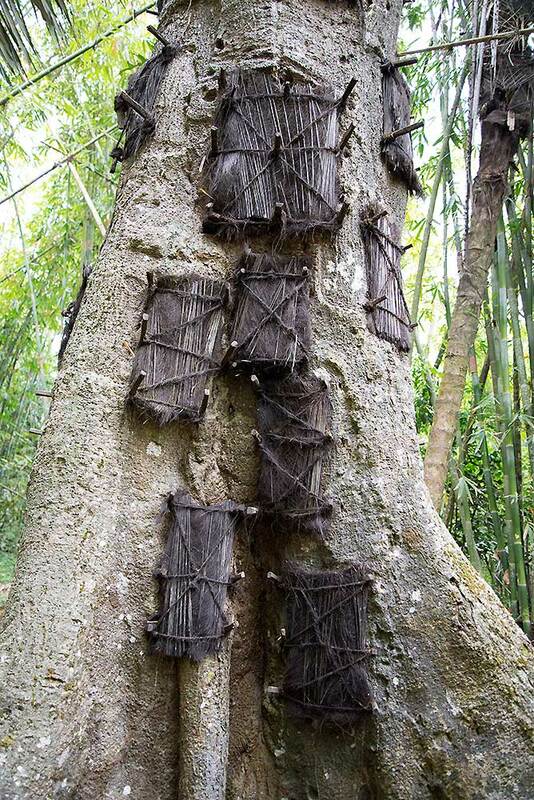 Rather than being buried in cave graves, Torajan children who died before they’d cut their first teeth were once interred in holes in the trunks of ancient trees, in the belief that they’d continue to grow with the forest. 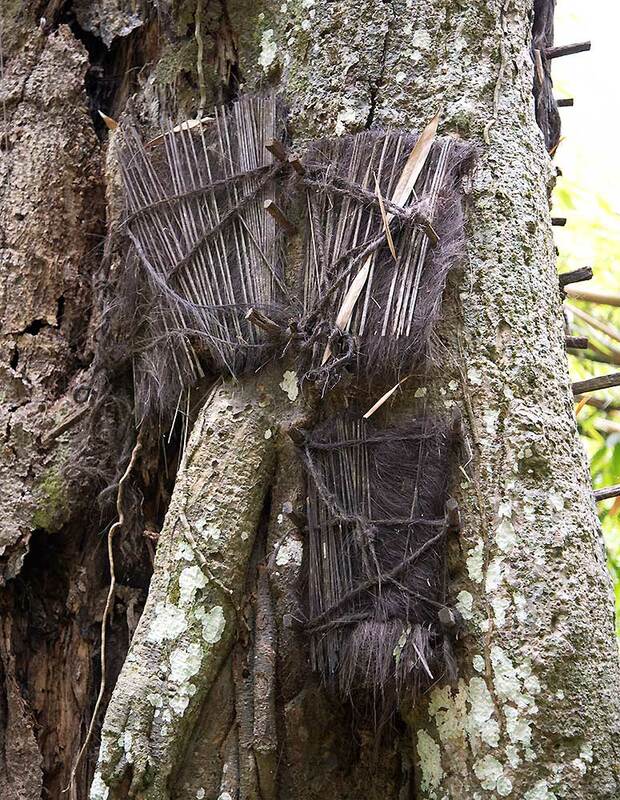 The sap of the tree would become a substitute for their mother’s milk, and over the years the child’s body would become at one with the tree that contained them. Kembira is located a few miles outside Rantepao, but Daud can arrange transport and also explain the complex burial ritual in more detail. 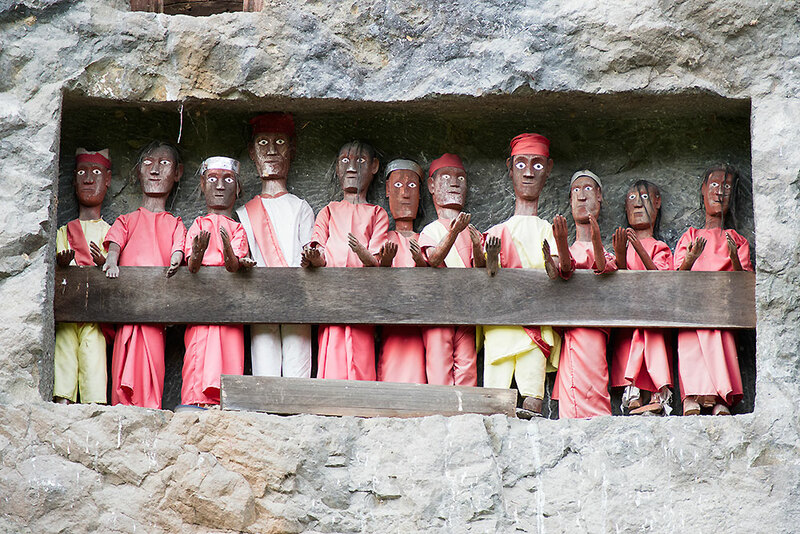 Like all tourist attractions in Toraja, visiting Kembira in low season is more rewarding as the site will be empty, giving you a chance to explore this tiny burial site in respectful silence. Contact Daud to organise tours, and for details on how to get to Tana Toraja. Daud can also arrange tours in other parts of Sulawesi, and around Indonesia. Copyright © 2019 Daud Rapa: Tana Toraja tour guide All Rights Reserved.